‘Clinging’ is presented as a three-screen projection which the spectator is free to explore at will with no predetermined viewing time. This installation concerns the relationship between the subject and the viewer and is a portrait of the artists. 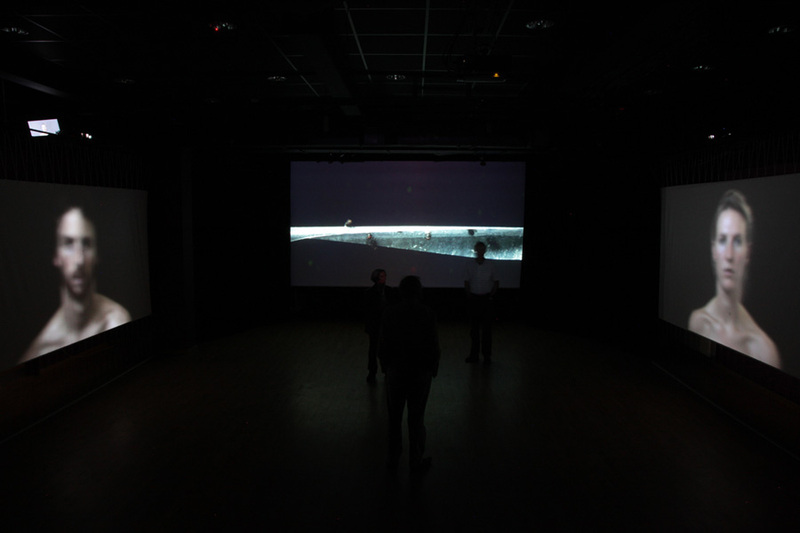 It is also an investigation into the themes of intimacy and alienation and seeks to extend the reach of the screen, creating a new space, centered around the experience of the viewer. her extract from Webb-Ellis on Vimeo.